Warm greetings from Rwanda, Ambassador! "@tgaustadsaether: @SwedEnvoyUganda @LMushikiwabo rgds from a former colleague. Now in Sri Lanka"
What does RGDS stand for? What is the meaning of RGDS abbreviation? 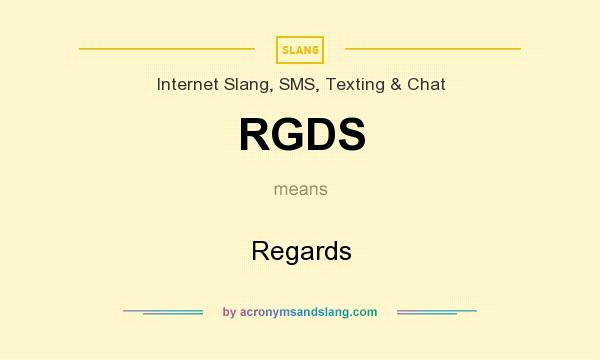 The meaning of RGDS abbreviation is "Regards"
RGDS as abbreviation means "Regards"